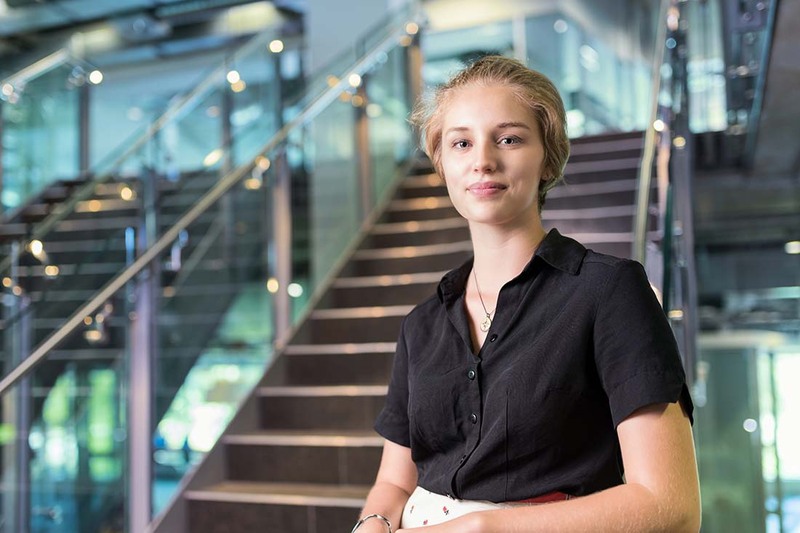 The School of Mathematical Sciences is an innovative and thriving centre of excellence at QUT. provide real world solutions and outcomes for our external partners. Our outstanding staff are strongly committed to the vision of being the partner of choice in mathematics education and research. Professor Ian Turner, Professor Fawang Liu and Professor Kevin Burrage from the Applied and Computation Mathematics discipline have earned the title of 2018 Highly Cited Researcher. Distinguished Professor Kerrie Mengersen has been elected as a fellow of the Academy of Social Sciences in 2018. Associate Professor Timothy Moroney received a citation at the Australian Awards for University Teaching (AAUT) for providing students with a multidisciplinary experience in computation and simulation science, incorporating authentic assessment and a collaborative approach to problem solving. Dr Belinda Spratt received a 2018 SEF Values award for excellence, collegiality and innovation. This award recognises her work incorporating blended and online learning in large first year mathematics units. 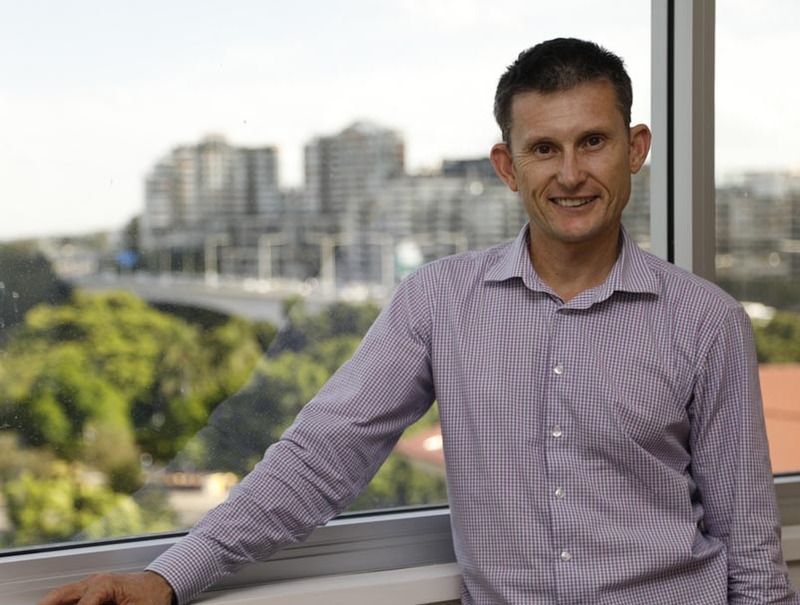 Our discipline leader Professor Scott McCue has been awarded ANZIAM's E.O. Tuck Medal for his outstanding research in interfacial dynamics, mathematical biology, and industrial mathematics and his services to the applied mathematics community in Australia and New Zealand. 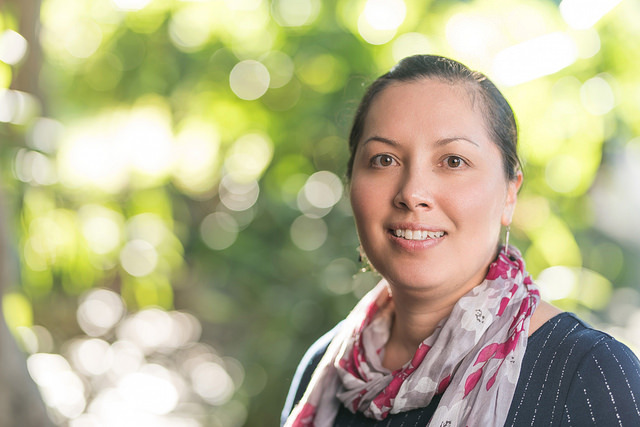 Dr. Helen Thompson’s efforts in her leadership role as Maths Academic Program Director were acknowledged through a 2018 SEF Performance Award. She has initiated and implemented a teaching mentoring program and led the development of new training programs for sessional and academic staff. Professor Troy Farrell’s research include batteries, dye-sensitised solar cells, drying of colloidal droplets, and oxidation of biomass stockpiles. He is passionate about communicating the relevance, applicability and effectiveness of mathematics to a broad range of stakeholders including students, other academics and industry and business leaders. Dr. Helen Thompson is the Academic Program director and Director of Learning and Teaching for the School of Mathematics. A selection of her highlights include initiating and implementing a teaching mentoring program, leading the development of sessional academic training in the School, blended and online teaching workshops for academic staff and instigating and producing a regular e-Bulletin for teaching staff. Professor Scott McCue is Discipline Leader for Applied and Computational Mathematics in the School of Mathematical Sciences. James McGree is the Discipline Leader for Statistics and Operations research for the School of Mathematical Sciences at QUT, where he is responsible for leading and supporting academics in research, learning and teaching and service. "I love maths, it’s in every industry and people don’t realise how much you can do. I’ve travelled to Cambodia with Engineers Without Borders, staying in a rural community and sharing our knowledge about reusing plastic waste. It was great to see how my skills could fit within an engineering team." "There is a large and growing demand in industry for skilled data analytic professionals. Organisations need to unlock the value of data to make better decisions to be more effective and efficient. We are excited to offer our new data analytics courses to provide our graduates with state-of-the-art knowledge and skills to keep them at cutting edge of this rapidly evolving field." Design, operate and predict behaviour of complex systems, using operations research, stochastic and mathematical modelling and optimisation. 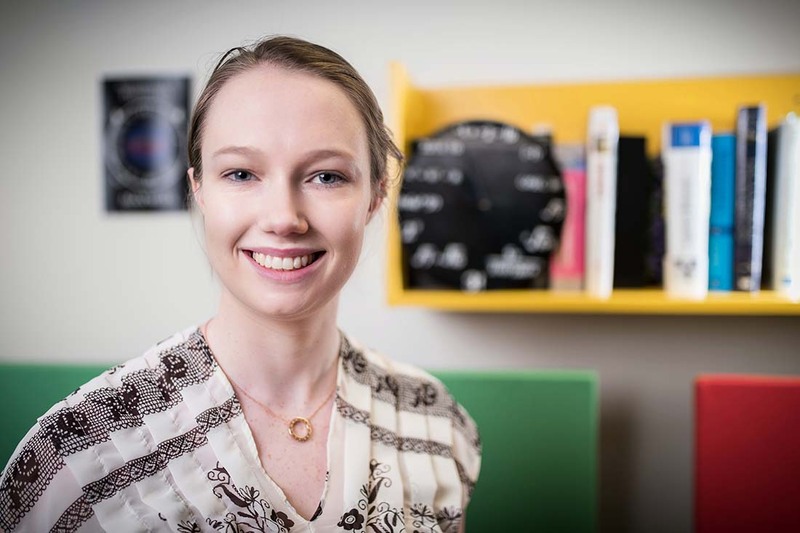 In this video, Kari Stuart talks about returning to study and discovering the varied and unexpected careers a Bachelor of Mathematics can lead you to. 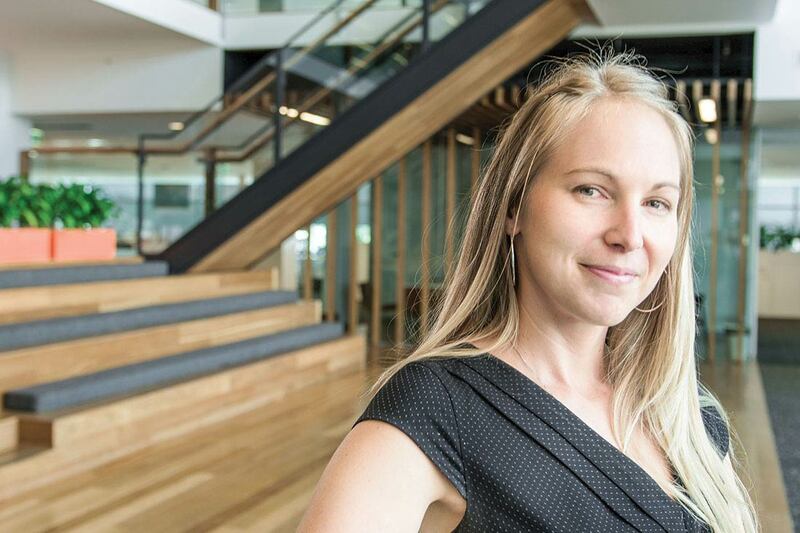 "There’s a great maths community at QUT. I’ve had lecturers who have worked with NASA and Microsoft, and they are all-round leaders in their fields. They’re always eager to help and approachable, and bring experience and examples to the classroom." 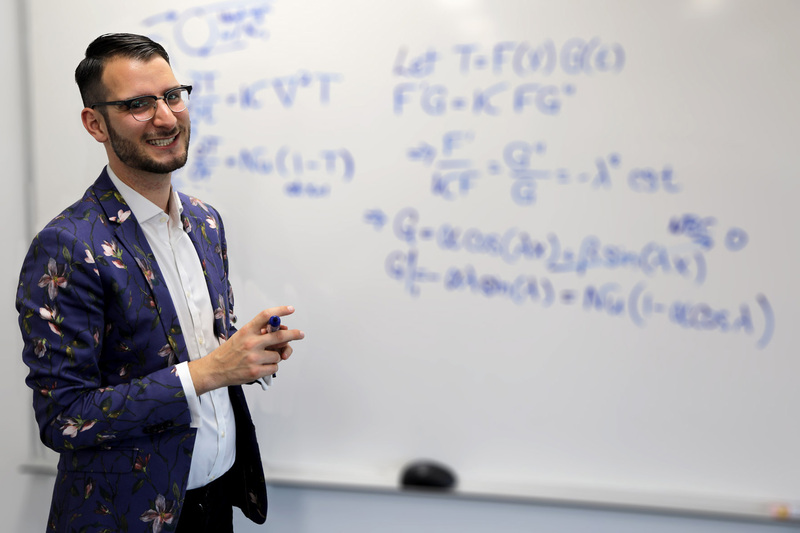 The Australian Research Council (ARC) Centre of Excellence for Mathematical and Statistical Frontiers (ACEMS) is a collection of Australia's best researchers across seven universities in applied mathematics, statistics, mathematical physics and machine learning. Our partnership with the ACEMS have allowed our staff to work on critical projects such as the Jaguar Conservation Project and the Virtual Reef Diver program. We're a highly collaborative group with a focus on top-quality, cross-disciplinary research that aims to solve real-world problems of global significance. Our research strengths are in statistical data science, computational modelling and simulation, decision theory and systems optimisation. We have strong, existing research collaborations with the Institute for Future Environments (IFE) and Institute of Health and Biomedical Innovation (IHBI), as well as other interdisciplinary projects being undertaken in the Science and Engineering Centre. Our school is a leader in delivering world-class teaching outcomes. We offer advanced, relevant and modern courses designed for the real world that are underpinned by our award winning research. Students learn from experienced lecturers and professors who work within multidisciplinary research teams at the cutting edge of science and engineering and who collaborate closely with industry and business. We understand how to prepare students for success in the workplace by sharing the latest in technical knowledge and theory and by emphasising and assessing skills in coding, critical thinking, communication and collaboration. Our school is entrusted with large research projects from leading international and national organisations and funding bodies. Our projects range from short-term industry consultancies and advice to long-term prestigious national research fellowships. The core of our industry engagement is through our research and research training activities and our undergraduate and postgraduate teaching programs. We partner with businesses and organisations from start-ups to multi-nationals and our scope of application is inclusive, ranging from mathematical biology through climate change to engineering, natural resources, economics and finance.